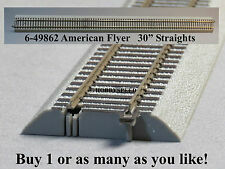 These are 4 American Flyer Diesel PA Cabins, They are as follows, 466 Comet, 475 Rocket, 473 Santa Fe, and 484 Santa Fe. All have horns on cabin and porthole windows. Some metal steps are missing . They have the usual play wear, paint or chrome loss as seen in the pictures. Good for builders or to strip and repaint . The 484 Santa Fe cabin has a melt mark toward the rear next to the fan shaped marking on top of cabin. I tried to get a good picture of it but because it is black it may not show up well. I will combine shipping if possible if you purchase other items. 2 voitures Voyageurs JEP échelle S.
I have a large amount of these available -both the flanged and non-flanged. These could also be used on other pre-War Flyer 3/16 O guage engines. Very High Quality Driver Wheels for Pre-War Northern Engines. 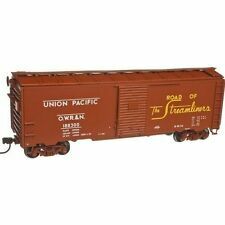 This is a Mint in Box new and never run Salt Lake Route Boxcar from The TTOS Convention in 2002. This car comes with the original shipping carton from Lionel and has only been out of the box once for the photos seen here. I will combine shipping if possible if you purchase other items. This is a set of 374-375 Texas and Pacific GP 7 diesels from 1954-1955. The 375 power unit contains a single worm drive pulmonary motor, horn, and reverse e-unit. Lighted number boards on each end function as they should as well as the horn. That is extent of testing. This train has been in storage for years, so has dust, but otherwise clean, no rust on side rails, but it is not without issues. As pictures show there is a missing cast prong on the front. Originally published in 1999 by Robert Tufts, this book was reissued by his daughter Donna in the fall of 2018 with a number of updates and now spiral bound for even easier use. Don't let these get away. Includes scale wheels and AF style couplers. Light weathering from brown weathering chalk may be removable but doesn’t detract from beauty of this desirable piece of rolling stock. Pictures show accurate representation of appearance. Nothing is broken. PayPal only. Shipping via USPS priority mail to verified USA PayPal addresses only. Great piece of rolling stock. 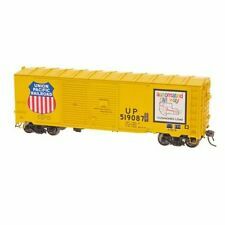 #4 643 Yellow Circus Flat car. But looks good as a extra car for you circus set. Trailer has 3 animals. Blue trailer with Red fence. No maker marks on trailer. Flat car load. Picture number 4 shows split down the seam of that section. Pictures show condition and they are of the one you will get. I have included several pictures to help you with that. There are 119 pieces in all.